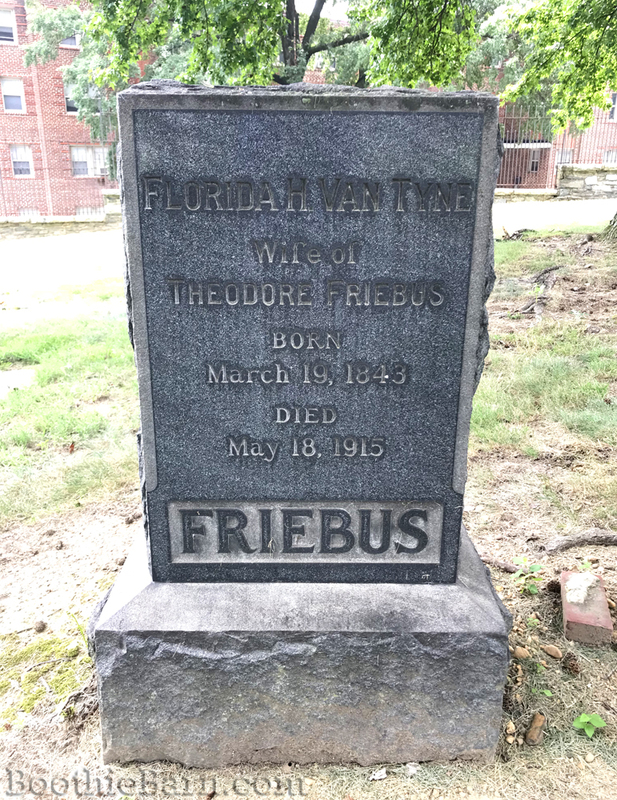 The name Florida Freibus that you referenced in your story about Mary Van Tyne immediately rang a bell with me. I know of another FLorida Freibus. SHe was primarily an actress who divorced her first and only husband around 1955. 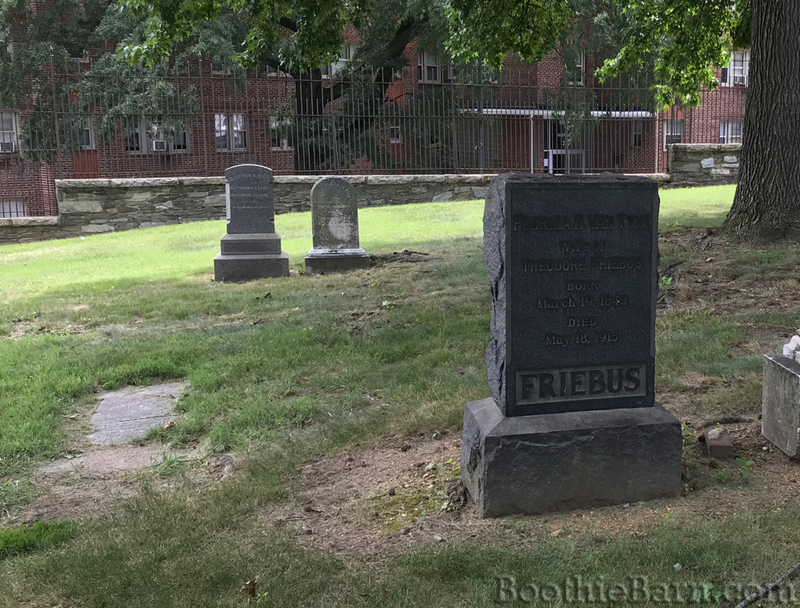 She was well known for her role as Dobie Gillis’ mother in the ’50’s TV series, “The Many Loves of Dobie Gillis.” That husband of hers was an actor by the name of Richard Waring, who I believe died In the 1980’s. (I had the pleasure of knowing him.) 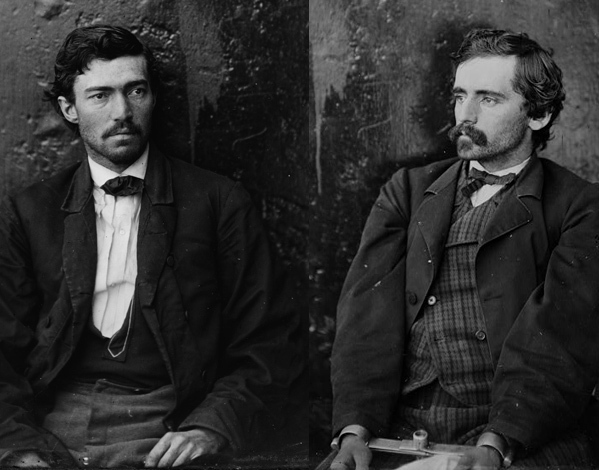 Now get this: –Waring played John Wilkes Booth in the stage adaption of Philip Van Doren Stern’s book, “The Man Who Killed Lincoln.” How weird that both FLorida Freibuses had a John Wilkes Booth connection! Never heard of the name Florida for a woman until I read this. I think its interesting that her sisters were named very common names, but she got a different one. I suppose the boarding house doesn’t exist anymore? Thank you for this very interesting article. Always enjoy reading them! During the Andrew Jackson administration, there was a something called the Petticoat Affair in which Washington’s society ladies decided to make the wife of a political friend of the President (Peggy Eaton) a social outcast. The lady who headed this cat fight was the wife of John C. Calhoun, then the Vice President of the U.S. Her first name was Floride (with an “e” rather than an “a” at the end). I suspect that may have been the original spelling of that historical name. Thank you for that insight. Interesting how spelling changes and names evolve. Very informative article. I am doing research on the assassination and I had never heard O’Laughlen called McLaughlen before. Mrs, Van Tyne did not mention it in her testimony at the trial of the conspirators (Poore transcript). I would greatly appreciate learning the source for this information. Disregard my inquiry. 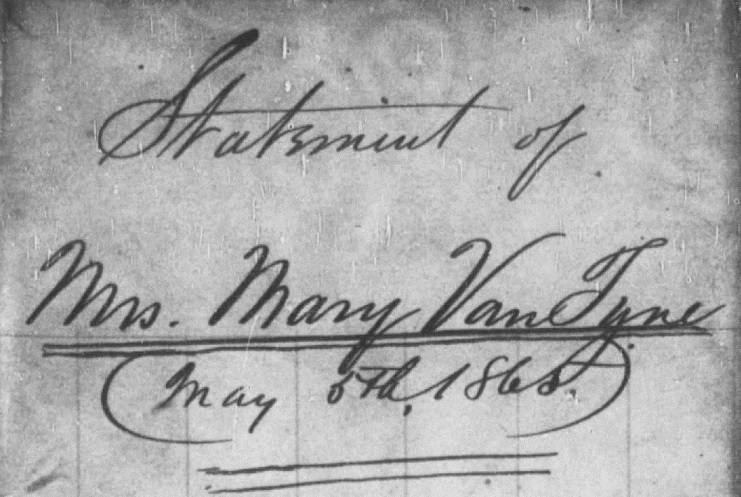 I found the source, a statement from Mrs. Van Tyne dated May 5, 1865. Thanks again for the great post.